Sherrie Rice Smith’s books, EFT for Christians: 52 Tapping Devotions, EFT for Christians Advanced: Change Your Feelings, Change Your Life and EFT for Christians, Tapping into God’s Peace and Joy teach readers how Emotional Freedom Techniques can be used as a tool for healing and why Christians should use tapping as a tool to become more Christlike here on earth. With the Holy Spirit’s help, EFT can aid us to overcome sin and bad habits that can impede our Christian journey. 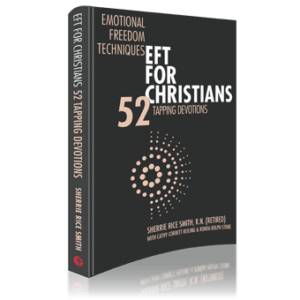 EFT for Christians: 52 Tapping Devotions. These 52 EFT Tapping Devotions are meant to be read, and practiced, one each week, throughout the week. Included at the end of each devotion are four areas, “Thought,” “Action,” “Prayer,” and “Further Meditation” for putting the lesson from each devotion into practice. Meditate on the Scriptures cited. Cogitate on the thoughts presented and practice the tapping skills suggested. And all these things while tapping! There is enough variation in devotional styles, personal stories, private thoughts, physiological lessons, and Scriptural instructions, to keep you busy for an entire year. Finish this book in 52 weeks, and then turn around and do them again. By this time next year, through the Holy Spirit’s work in you and the tapping you do, you will most likely be a better version of yourself in Christ than you are today! 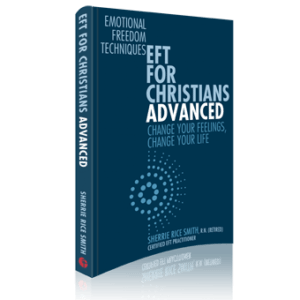 EFT for Christians Advanced: Change Your Feelings, Change Your Life, demonstrates in greater detail the different ways and techniques that Christians can use EFT to allow God to heal many areas of life, including our emotional, spiritual, our physical and mental parts. EFT now has more than 100 scientific studies backing its efficaciousness. And it appears to work quite well on a multitude of issues. 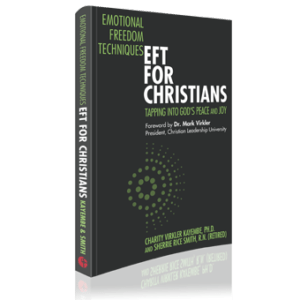 The EFT for Christians books motivate and encourage Christians to combine their spiritual practices and Christian worldview with the tapping techniques themselves. It is a powerful combination. Drawing God closer and deeper into our lives. Sherrie has more than four decades in nursing, which includes work in medical-surgical, home health, and hospice care. Sherrie has an intense interest in all things related to biology, physiology, psychology, and quantum mechanics. These interests allow for an understanding of the efficaciousness of Emotional Freedom Techniques. 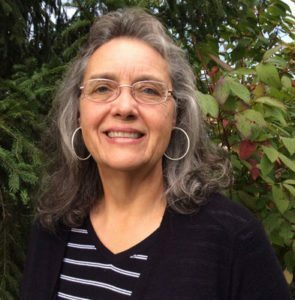 Her personal experience with EFT is based on her own life story, giving her an even greater appreciation of how well EFT can bring both physical and emotional healing when coupled with prayer and the knowledge that Jesus heals. Sherrie holds two EFT certifications, mentors Christian EFT Practitioners and students, and teaches certification classes, levels 1 and 2, for EFTUniverse. She is also the author of EFT for Christians, originally published in 2015.